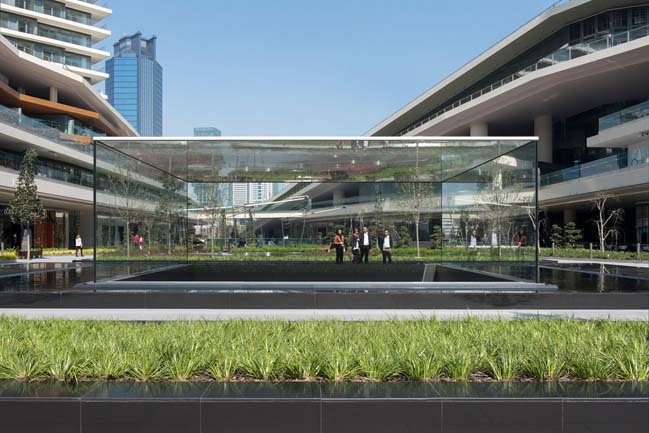 Located in Istanbul's new Zorlu Center, this Apple Store designed by Foster + Partners in collaboration with Apple and is crowned by a spectacular illuminated glass lantern set in a reflecting pool of water. 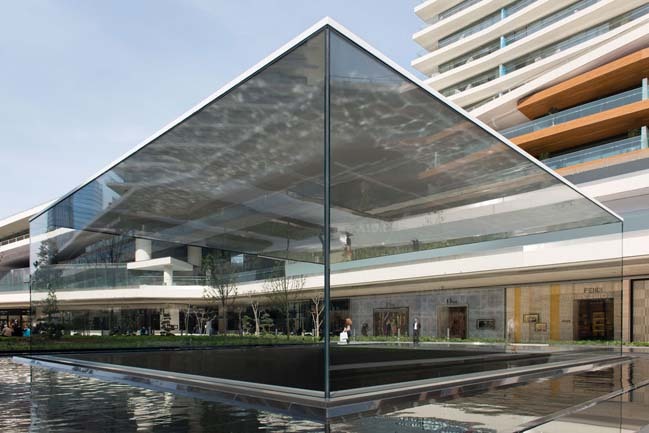 Follow the architects: This provides the jewel-like centrepiece of the shopping centre’s crescent plan and acts as a light well, drawing daylight deep into the subterranean retail levels. 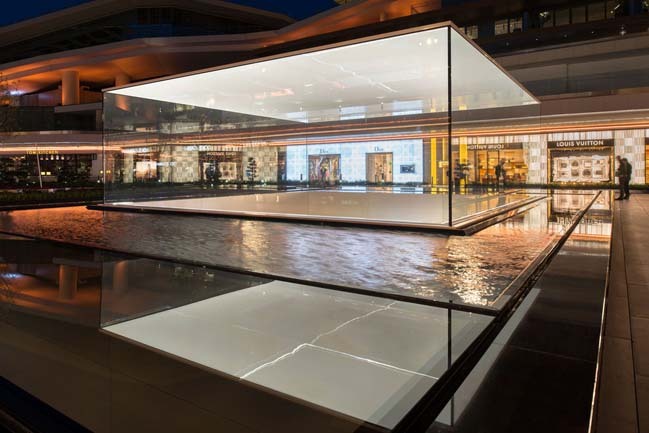 The lantern is a deceptively simple, yet technically advanced composition of four rectangular glass panes, each ten metres long, held together without mechanical fixings or visible joins, and covered by a lightweight sheet of opaque carbon fibre. 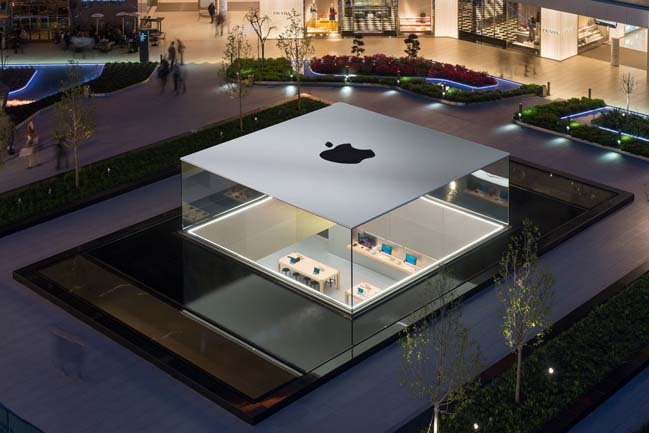 Below ground, the store is arranged over two levels and features Apple’s signature wooden tables, genius bar and stainless steel walls, which have been adopted as the standard for all of the firm’s retail spaces. 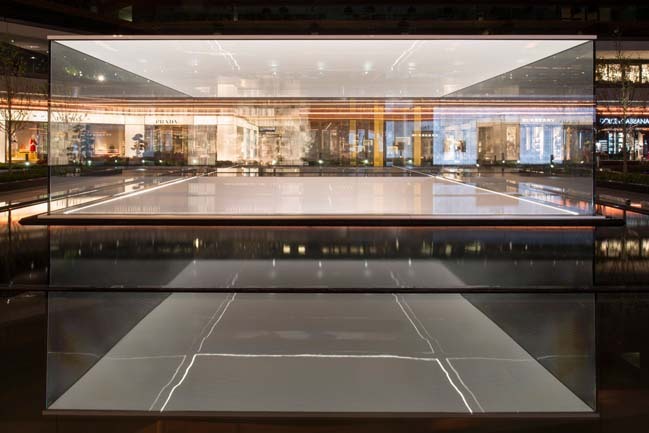 The floors are connected by a pair of dramatic glass staircases, which are positioned beneath two skylights and supported by glazed walls. 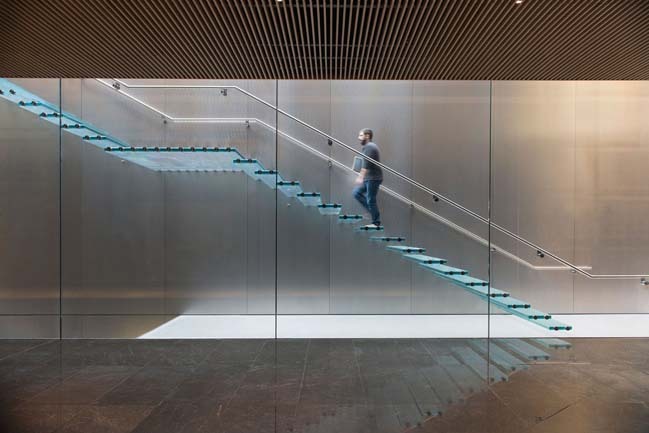 Daylight is carefully orchestrated throughout, as light is cast through the transparent stairs and store facade, and reflected internally by stainless steel surfaces. 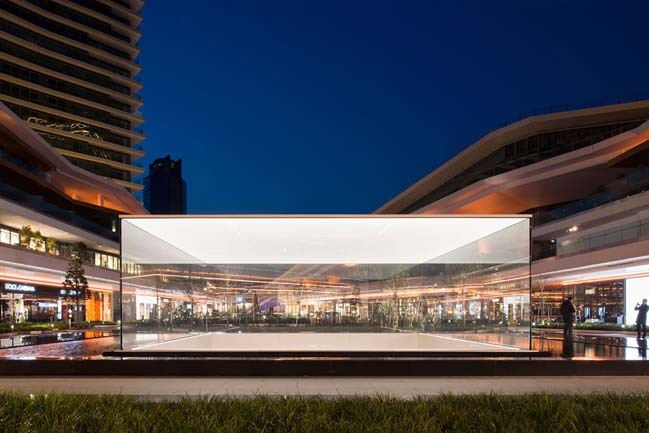 The storefront is constructed using nine-metre tall monolithic glass panes which, like the lantern, has no structural fins. 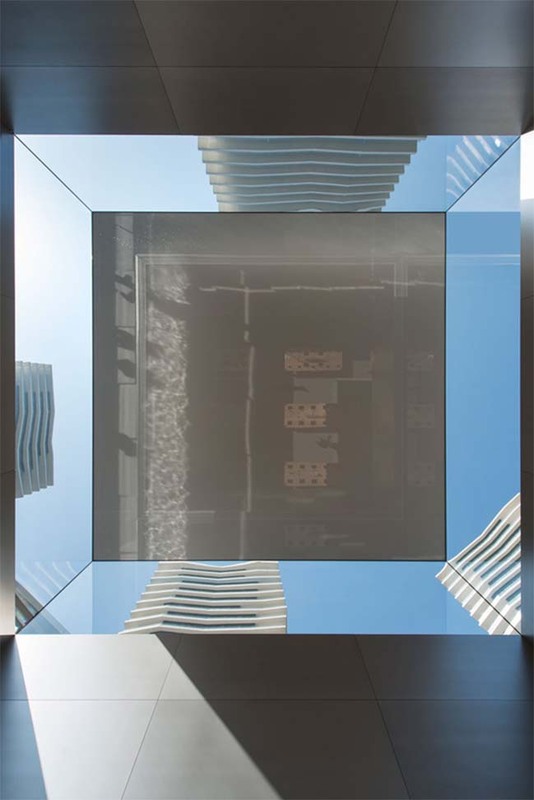 Working alongside one another as an integrated team of designers, architects and engineers, the project has showcased intense innovation in the use of materials and bespoke elements. 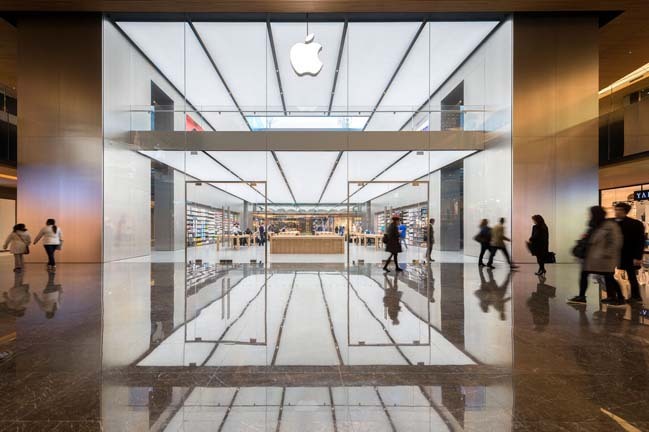 The luminous ceiling panels, for example, were developed especially for the stores in conjunction with the manufacturers and emit a calm, seamless, even glow. 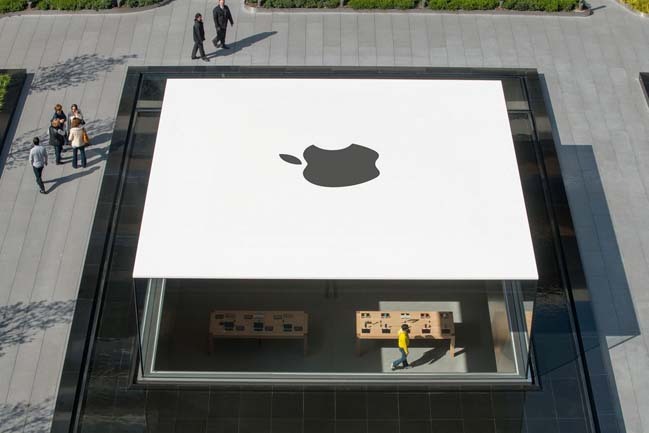 The panels, the largest of which is 27 metres long, conceal acoustic absorbency and to maximise flexibility, can also be easily lowered to allow access to the ceiling above. 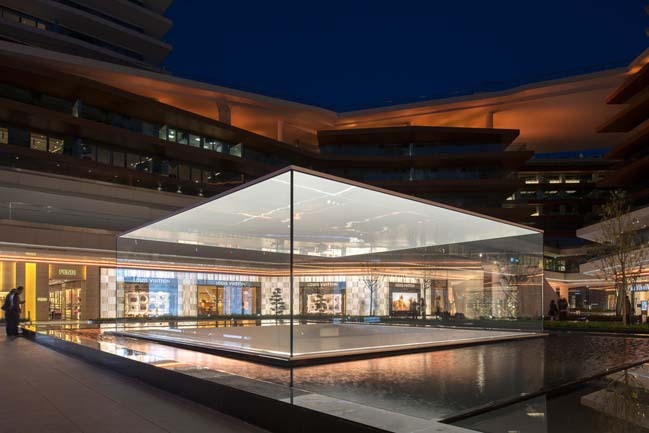 The result of close collaboration between architect and client, the store is both an expression of Apple’s brand and a beacon for the Zorlu development, with the architecture complementing the purity of form, innovation and ease of use of the products on display.